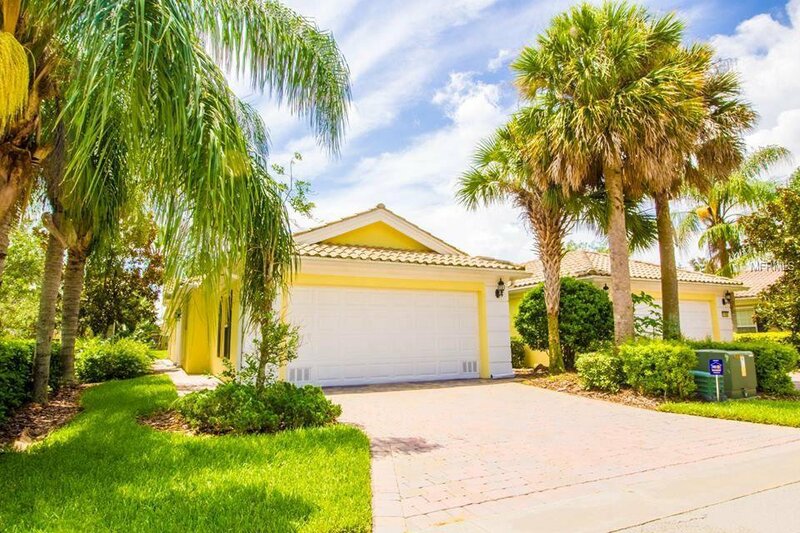 This lovely upgraded waterfront Villa is located in Villagewalk at Lake Nona. Villagewalk is a secure gated community featuring many recreation amenities.Beautifully landscaped lawn with fenced back yard overlooking the water. You can sit and relax on your screened lanai or enjoy the screened patio. There is tile throughout the home. Many upgrades in the home. The HOA handles all the exterior maintenance and the cable, phone, alarm system and more are included in your fees. Perfect for a young family or professionals. Additional neighborhood amenities include 26,000 sq. ft. Town Center with gas station/convenience store, heated lap pool, basketball court, tot lot, lakeside gazebo & events area, numerous waterways with pedestrian bridges, library/business center, and multipurpose ballroom. Don't miss this opportunity for a quality life style location and move-in ready home. SELLER MOTIVATED, OPEN TO ANY OFFERS. Listing courtesy of KELLER WILLIAMS ADVANTAGE III REALTY. Selling Office: CHARLES RUTENBERG REALTY ORLANDO.